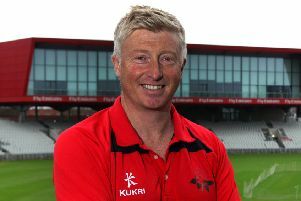 Tom Bailey won the top prize at Lancashire’s end of season awards at Old Trafford. The former Vernon Carus and Myerscough College bowler enjoyed a breakthrough 2018, ending the summer as the leading wicket-taker in Division One of the County Championship. The 27-year-old from Preston ended the campaign with a haul of 64 wickets at an average of just 19 despite the Red Rose’s relegation to Division Two. Bailey picked up the trophy as overall Lancashire Player of the Year at the gala awards ceremony on Friday night. His fellow seam bowler Graham Onions scooped Championship Player of the Year. The 36-year-old took 57 wickets in his debut season with the Red Rose after making the move from Durham during the winter. 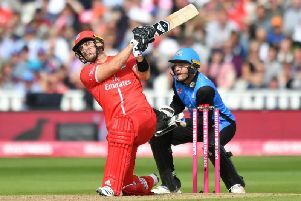 For his 534 runs, the second highest in a season by a Lancashire batsman, Alex Davies was named T20 Player of the Year, his six half-centuries helping the Lightning to reach Finals Day – Davies was also named as the Red Rose Members’ Player of the Year. There was double success for Matthew Parkinson as the leg spinner took home the One-Day and Young Player of the Year awards. The 21-year-old finished as leading wicket taker in the Royal London One-Day Cup, claiming 18 wickets, and also enjoyed a strong season in T20 with 25 wickets and 16 in the Championship. Their Thunder teammate Emma Lamb, from Preston scored 497 runs at an average of 41 to win Lancashire Women’s Player of the Year. For the first time, cricket across the region was also recognised in the new community awards. Peter McDermid of Trimpell Cricket Club was named as the inaugural winner of the Volunteer of the Year, while Longridge Cricket Club were crowned Club of the Year.